There are only so many possible iterations of a zigzag, right? Not for Missoni, the beloved fashion house that never fails to churn out the coolest variations of its iconic print, season after season. So, obviously, we can't help but get excited when the label collaborates on a collection we can actually afford. And, when Converse is involved, the result is always breathtaking. 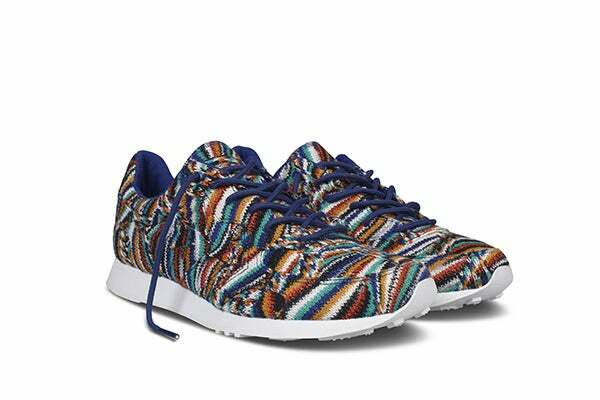 This isn't the first time Missoni has bestowed our favorite sneakers with its signature pattern. There was the line of Chuck Taylor All Stars for fall '10, and then the high-tops got a boost last spring with a chunky platform. But this time around, it's the Auckland racers that are getting the illustrious treatment, and we approve. Maybe it's our recent obsession with cross-trainers, or perhaps, it's because we know these steppers will actually motivate us to work out. Whatever the case, the question isn't whether or not we'll be investing in a pair, it's which ones should we choose? The multi-stitch, wool fabric comes in two colorways, and, call us crazy, but we kind of want to assign them Instagram filters. The ones we'd dub Hefe have got warm tones of burnt-orange and gold, balanced by cooler shades of seafoam and royal blue. Then there's the muted, camouflage-like style that sort of reminds us of Brannan. Both are equipped with canvas lining, white soles, and all the eye candy we could ever ask for. Retailing at $200 each, they're unisex and come in sizes 7-13. Oh, and, they're available now. Need we say more? 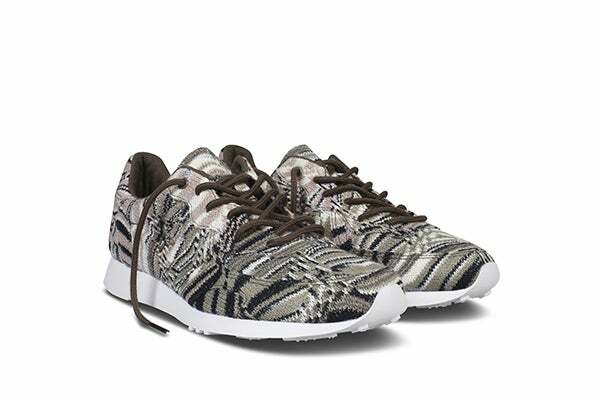 Tie up your boring old laces one last time, and sprint to any Missoni boutique or Converse store, because these sneaks are limited edition, and we doubt they'll last for long.